The Head Cheerleader Is Here! 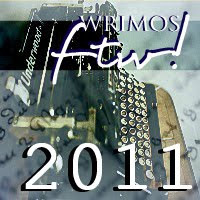 by Jennifer Gracen | WriMos FTW! 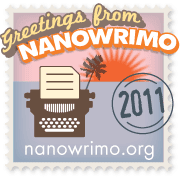 The NaNoWriMo contest is an online challenge for writers of all genres, all over the world. Now in its 13th year (Superstitious site owner says WHAT?! ), it has grown substantially each year as the power of the Internet has increased its reach. The premise to win is simple: write 50,000 words in 30 days. From scratch. This is daunting to most writers. It seems impossible, overwhelming, terrifying even. But sit back, relax, and let me explain why this is something you want to do. There are many reasons why this has become such a popular contest. First of all, it’s free. Yup, that’s right: no entry fee. Definitely in your budget. Second, it’s a good reason to buckle down and write that story that’s been bouncing around in your head for so long... but you haven’t been able to make yourself sit down and just DO it. Third, there’s nobody actually depending on you to win except for yourself. The only one you need to please here is yourself. And you will please yourself. The satisfaction of finishing this contest is so deep, so incredible, so soul-infusing… but more about the personal glory later on. Chances are, if you’re a writer, you’re friends with a few other writers. Convince one of them to do NaNo with you. Trust me, you’ll want someone to vent to, bounce ideas off of, and to cheer you on when you feel like you can’t do it. It’s a great motivator to have a comrade-in-arms. Only another writer can truly understand how you’ll feel, what you’re doing, and what you’re going through. Warning: some spouses, significant others, roommates, parents – whoever you share living space with – may not be so happy about your entering NaNoWriMo. They won’t like not having your full attention, or that the house may look like a bomb hit it when you’re too busy writing to clean. Talk to them before November 1st. Have an understanding that this is important to you, that your primary focus will be on this contest for 30 days, and you’d like their support. You may have a wonderful support system around you, and you’re lucky if you do. You may not; you may actually have grumbling naysayers around you. Don’t listen to them. You can do this. So much has happened in my writing life since last year’s NaNo. The biggest, most profound change was that in March 2011, I joined Twitter. I’ve met more writers online in the Twitterverse than anywhere else, ever, and it’s been amazing. The writers I’ve met on Twitter (and the group #pubwrite in particular) are so varied, from all walks of life, all the corners of the planet, writing in every genre and subgenre imaginable -- traditionally published, self-published, or not yet published. They’re smart, funny, talented, and are generally unbelievably supportive of one another. Meeting these people on Twitter has not only ratcheted my desire to write into the stratosphere, but I’ve learned so much about the ever-changing writing business, gained such insight into the mindset of fellow writers, felt that true kinship and comradery… I can’t begin to express what I feel for what they’ve shown and taught me, all the genuine support, understanding, and love I’ve found there. I wanted to give something back somehow, no matter how seemingly small it was. So I put tweets out on Twitter a few weeks ago, proclaiming my desire to be Head Cheerleader to any writers who choose to take on NaNoWriMo this year. Having someone support you during this month of intense writing can be crucial to your succeeding at it. And I’m good at support. I’m a passionate, caring, and gregarious person; I get genuine joy from making people feel good or knowing I’ve helped someone. This year, thanks to Twitter, I know about 50 people doing NaNo. How cool is THAT? Last year, I knew five. So to know that so many of us will be doing this together? I’ve dusted off my pompoms, they’re ready. 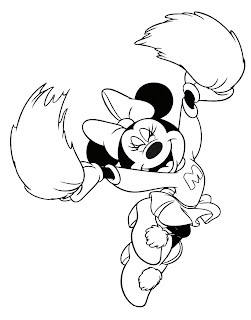 And I’m the best kind of cheerleader: I’m not annoyingly perky or saccharine -- I’m a wiseass. I’m fun. I’m sassy. I have a quick, sharp, and sometimes dirty mouth. Who else would you want to cheer you on every day for a month? I’m the right woman for the job. This will be my 3rd year in a row doing NaNoWriMo, and I’m planning on achieving my third “win”. I’m not only looking forward to that, but to the online party that will be all these amazing people doing NaNoWriMo together. So, if you want some of that support, follow me on Twitter at @jennifergracen and let me know. I’ll be keeping a list of NaNo Tweeps. It’s going to be fun. You’re going to have fun doing it. You’re going to surprise yourself with what you’re capable of accomplishing. Do it! Good luck! Are you ready for NaNoWriMo? Do you have your NaNo/twitter tribe at the ready? Jennifer Gracen grew up torn between her two great loves: books and music, unable to choose whether to be a writer or a singer. After spending her youth writing in private and singing in public, she has fully embraced her passion for writing. She worked as a copy editor before choosing to stay home to dedicate herself to being a full-time mother. 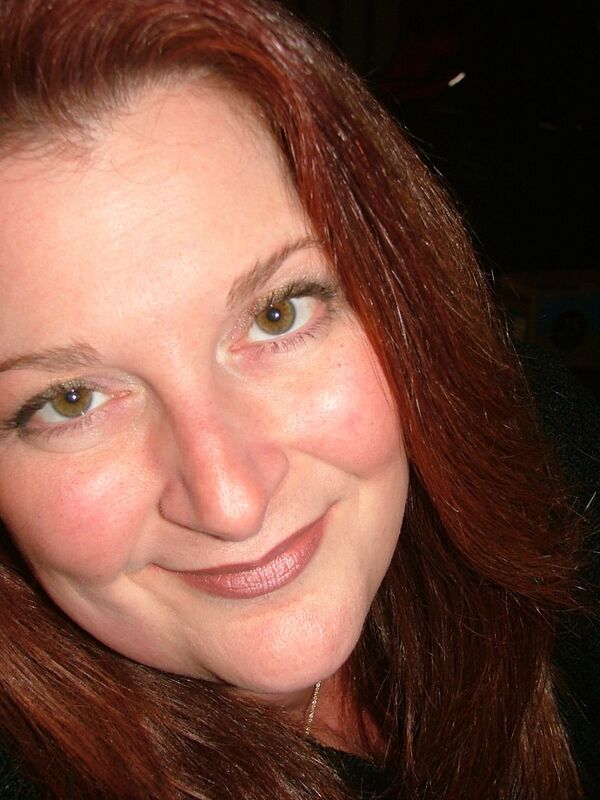 She is a member of the Romance Writers of America (PRO status) and the Long Island Romance Writers (RWA Chapter 160). She has completed three full-length novels and one novella, in her preferred genre of women's fiction/contemporary romance. Currently searching for agent representation, she is already preparing to start her next full-length novel, when NaNoWriMo kicks off. fGreat post, Jennifer! I'm a first time NaNoer, so I"m a bit nervous, but I'm very excited too. Were I not in the midst of a Kickstarter campaign I might try this. Maybe next year. I will however follow you on twitter and look forward to hearing you cheer on others. Best of luck with your writing too. So glad you liked the post, thanks! Just trying to stir up enthusiasm, and let people know that if they need support and cheering on, someone's here to do that for them. Everyone needs cheerleaders in an endeavor like this one, especially first-timers. Don't be nervous! Be excited. You're going to do something new and different, and have fun while you're doing it. All good, right? Right.